As most speedboats are able to be towed to us we offer the facility to bring your boat to our workshop where we can work directly on your boat. We can design and make tonneau covers, including over-screen tonneaus with supporting hardware to keep water off if necessary as well as many other more complex types of canopies. Most of our speedboat canopies are sectional and often multi-funtional, i.e. 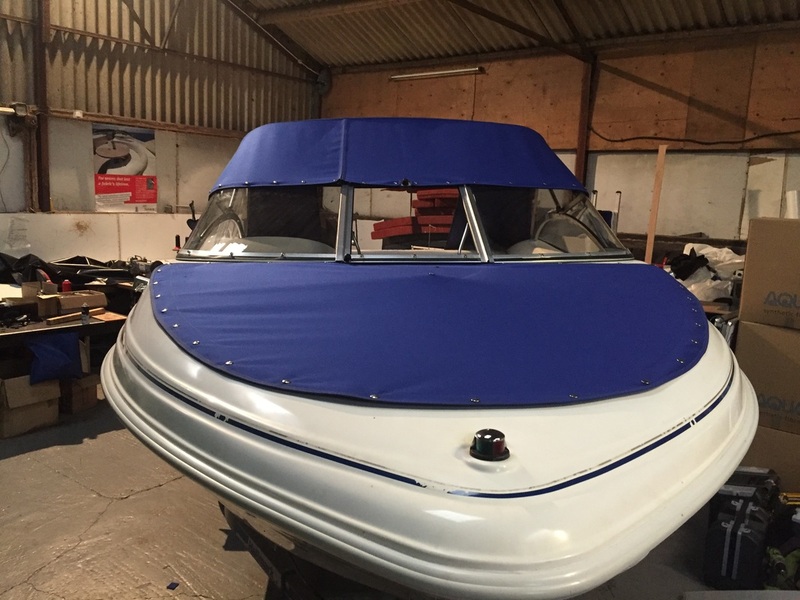 they can perform as a basic sun shade, a spray dodger or a full weatherproof enclosure allowing you to sleep on the boat overnight if desired. We love a challenge and specialise in creating one-off bespoke designs to suit any need. Popular makes we've covered include Bayliner, Mastercaft, Ski Nautique, Chris craft, Regal, Trophy, Maxum, Fletcher, Formula, Seray and Quicksilver.